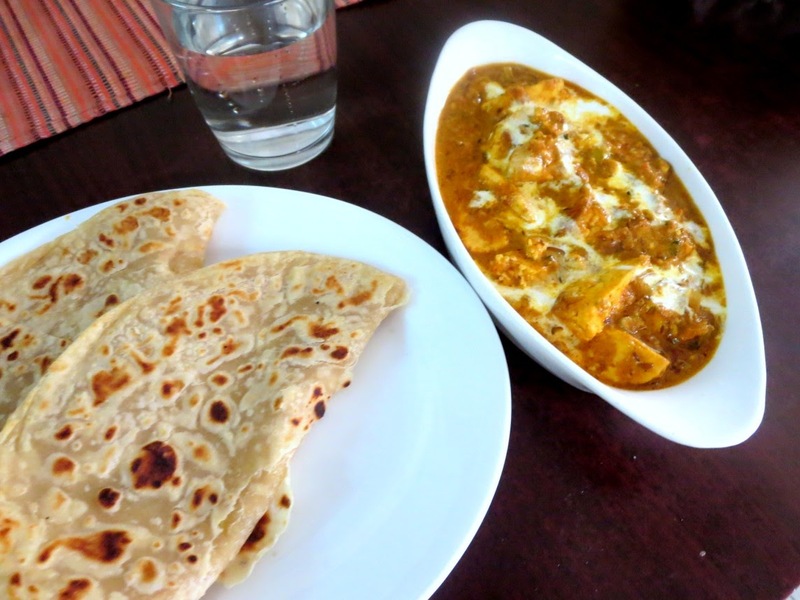 This is another version of similar paneer rich gravy to be served with naans. 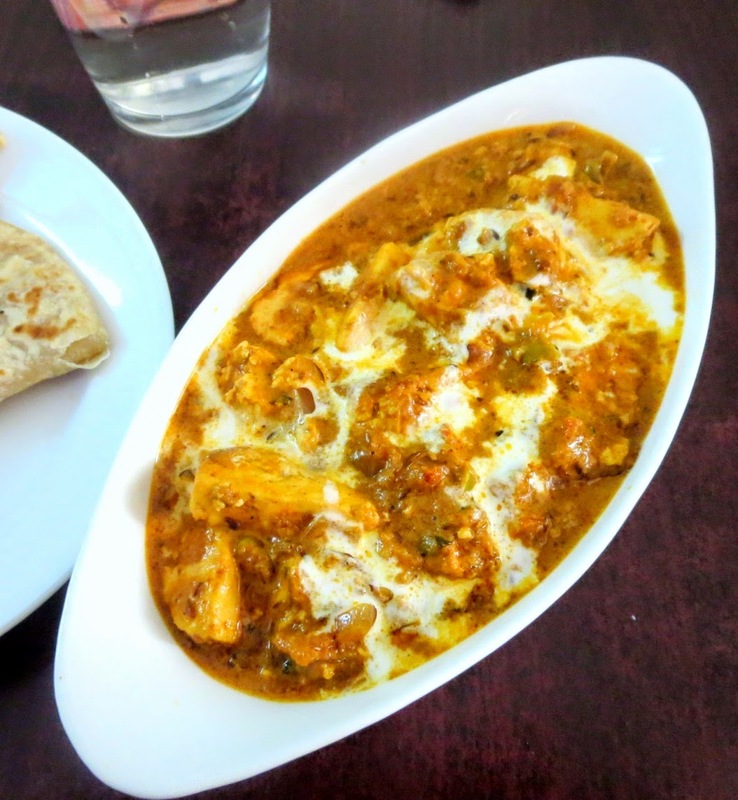 The paneer butter masala that gets serve has that thick gravy, that seems to have a nice gravy along with fine onion pieces. In all the gravies that I have been trying recently, I have been trying to replicate that at home. 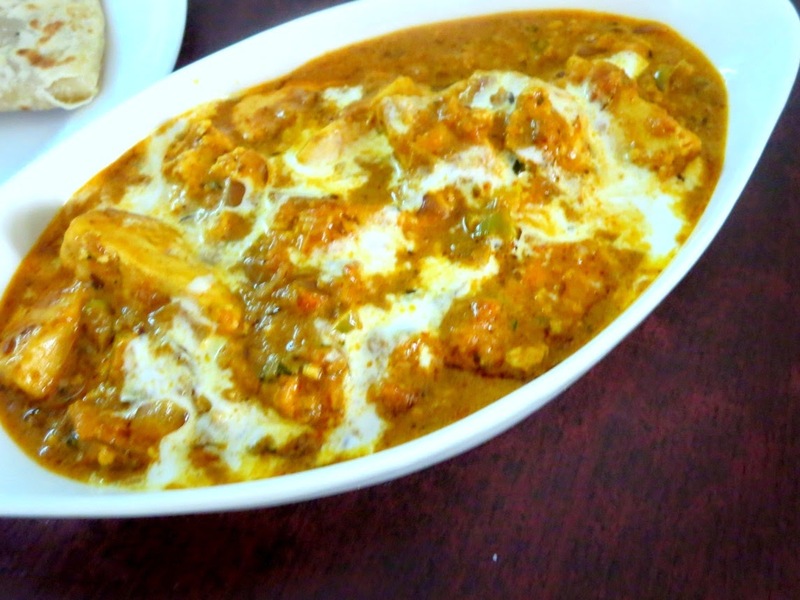 Today's dish is made more rich and spicy by adding paneer that is fried with spices after marinating it with masala. Needless to say, it was so delicious and makes a great party dish. Well I have loads to talk, yet hardly have energy write. My relatives are here and the house is bursting with people and noise and I am finding it hard to sneak and blog. So the posts are going to be very short! It's Konda's birthday today and I am planning making a cake, and also have her friends coming in. So it's going to be quite hectic day. 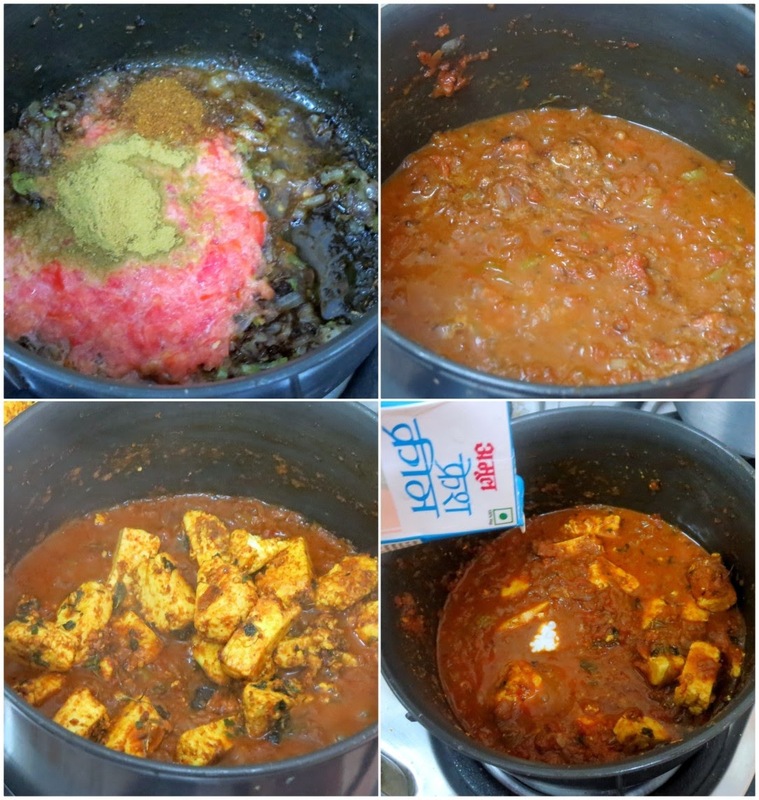 Mix the paneer with the spices and rest it for 15 - 20 mins. Then toss it in butter in a non stick pan till golden and keep it aside. Heat a non stick pan, temper with cumin seeds and ajwain. Once they crackle, add the onions and saute till light brown. Add the onion puree, saute well, then add the green chilies, garlic paste. 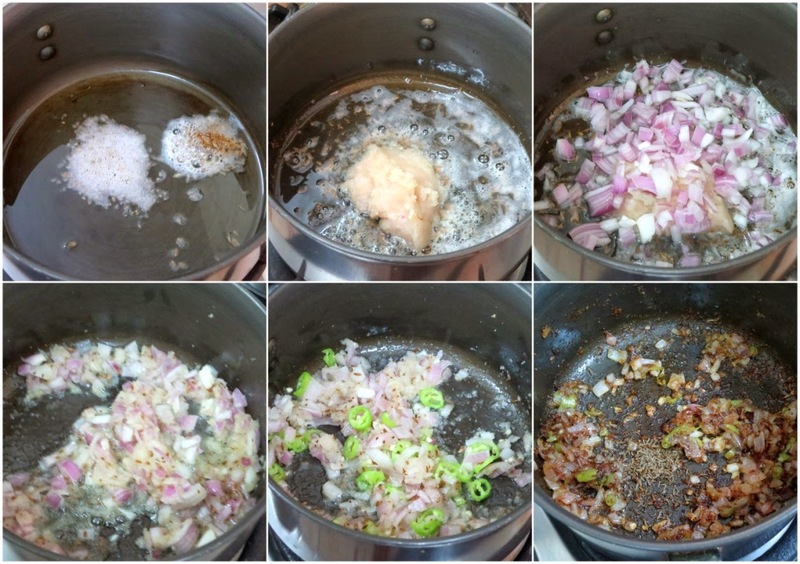 Once the onion puree turns colour, add the finely chopped onions. Saute well till it browns. At this stage add the caraway seeds, then add the tomato puree along with coriander powder, garam masala and saute for a minute. When oil separates, add about 1/2 cup of water to this mixture and mix well. Bring to a boil. Cook till the masala is well cooked and becomes thick. 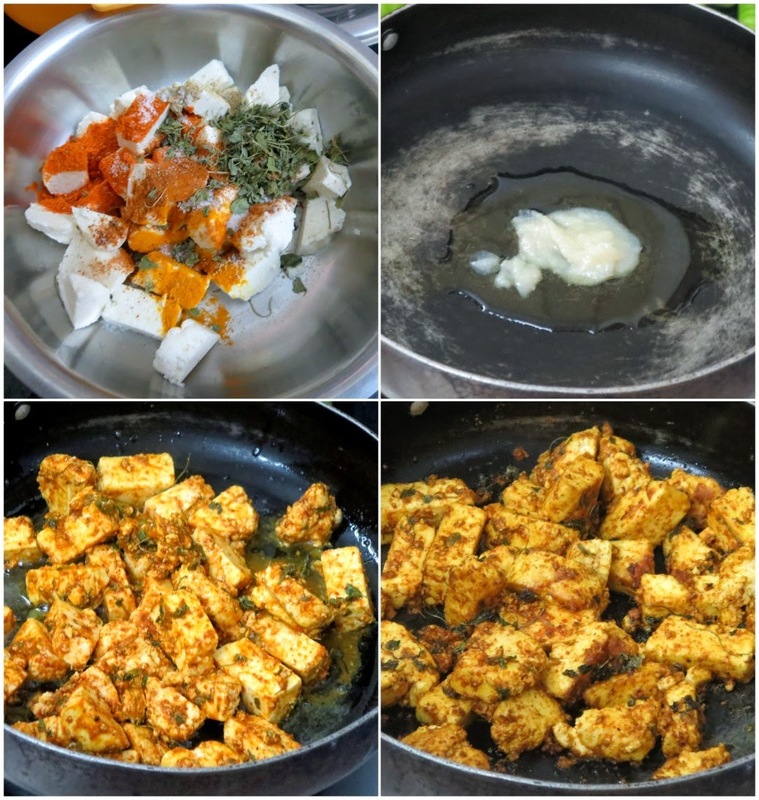 Add the fried paneer, then cream. Cook for 10 mins in simmer. 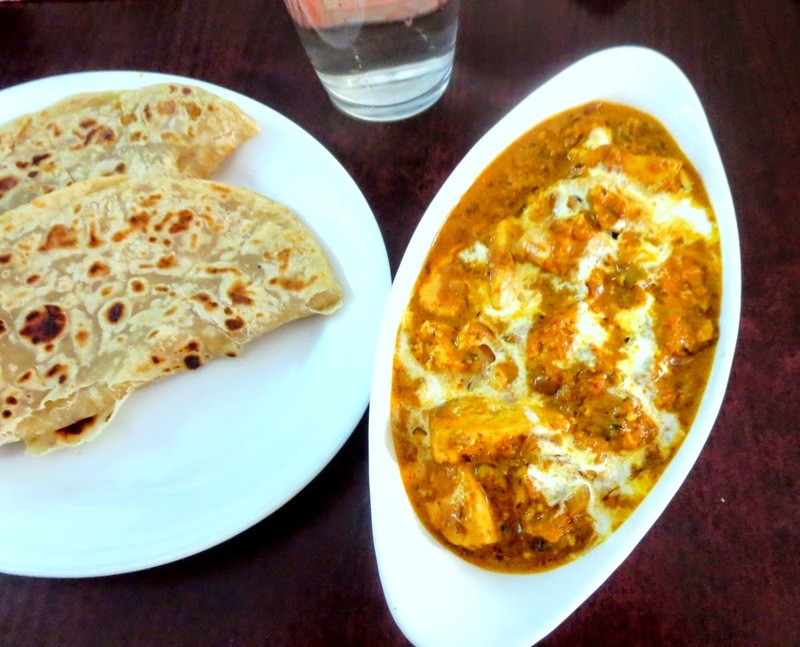 Just before serving, add the butter and garnish with coriander leaves.